Khajidah is an amiable, hardworking , talented actress and award winning producer who is a graduate of Theatre Arts in the University of Ibadan. Her film Ookun which featured excellent actors such as Damola Olatunji, Tobilola Abraham(Tee Famous), Ayo Mogaji, Adeniyi Johnson,Wunmi Boriola and Khadijah herself was produced in December 2016 and has since been nominated for different awards. Isn’t she just so good? This amazing woman is our celebrity for today and her full name is Ayoade Adeola Khadijah, popular referred to as Khadijah official. She started her career in 2013 where she acted in a couple of movies which include The Reporter and Ojokan Nla where she played a lead role. She was off the industry for a while as she had to go serve her father land. 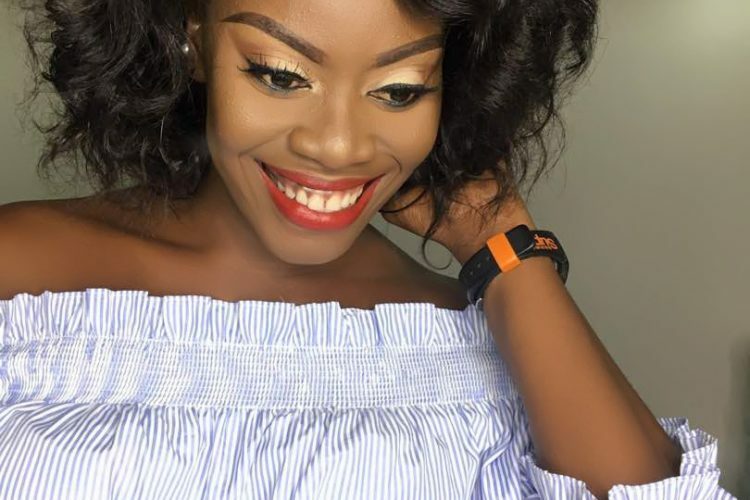 She resumed fully back into the industry in 2015 with Ayewo and Iya Ibadan; the films she was made to play the role of a girl with a sharp mouth. A number of veterans noticed her talents and began to take keen interest in her. She has since featured in a number of movies where she has played both lead roles and sub roles. In addition to that, many of the films she has appeared in is being aired on Africa Magic Yoruba and this helped her register her face in the hearts of many. Khadijah has got a number of iconic influences and some of them include, Funke Akindele, Sharuhk Khan, Kajol, Taraji P Henson, Odunlade Adekola, Nse Etim and Toyin Abraham. She however emphasizes that she likes majority of them because they have directly and indirectly influenced her as an actor. According to her, one of the challenges she has been facing includes low payment compared to high expectations from people. This talented actress doesn’t have any scandals and doesn’t hope to for as long as she is in the industry. Khadijah’s unique point is in her ability to interpret her roles well and you all will agree with me that she does justice to any role being given to her. Importantly, our guest is in a relationship and she is telling everyone to anticipate something better than Ookun. ” Thank you for supporting me especially through your comments and gifts. I want to specially thank you all for buying my film and I promise not to disappoint you.